Everyone knows that getting an influencer in your business's door will bode well for social media. But when that influencer also has strong community ties, your business is definitely #winning. In Bird Bowl's case, this local influencer is quite news-worthy considering he works at the nearby Miami New Times. 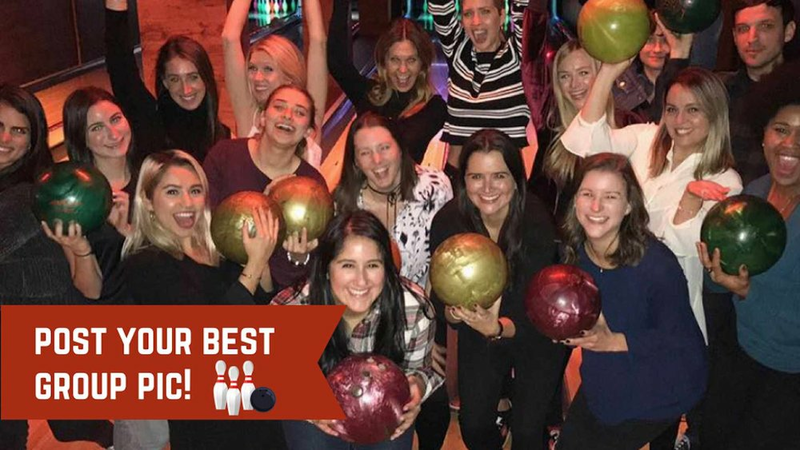 The media group gets the opportunity to showcase their team building day on the UPshow big screen while also inciting social media followers to host their next team building activity at Bird Bowl. While Bird Bowl welcomes bowling leagues and teams to use the venue, even the bowling amateurs know the activity is great group activity. 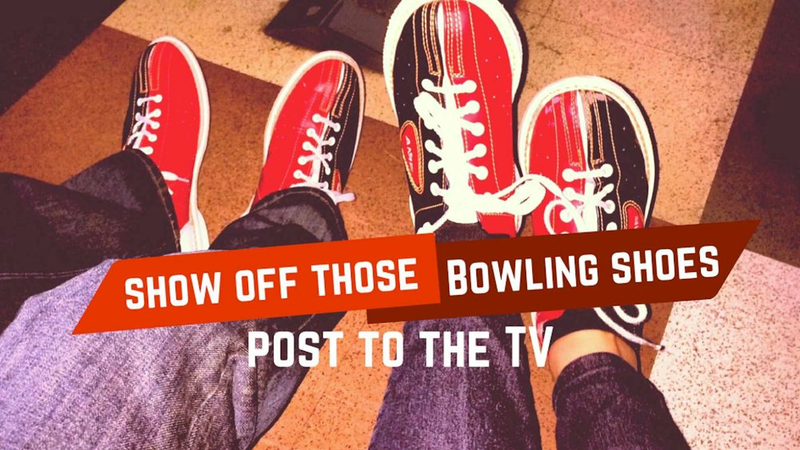 The cool neon lights vibe, brightly glowing bowling balls and the only acceptable time and place to be wearing those shoes with any outfit creates a moment with friends and family that has to be shared. By posting to UPshow, the bowling group is able to become part of the hip scene while also sharing the moment with followers on social media. 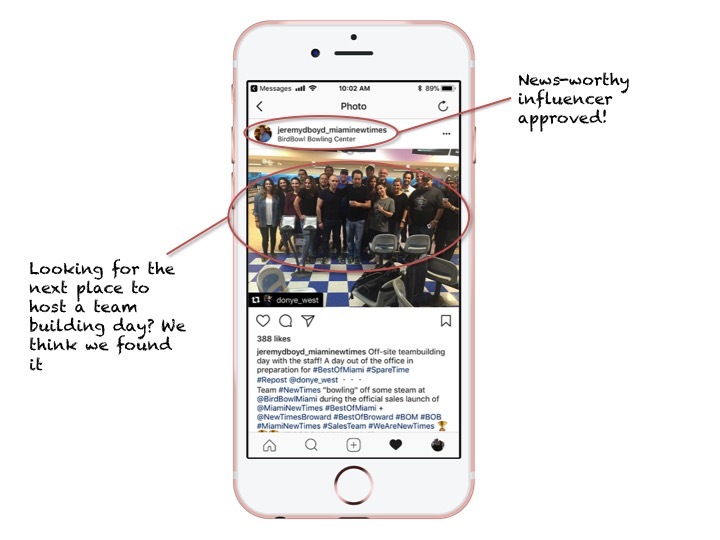 Best of all, with the custom UPshow hashtags, those exploring Instagram for Bird Bowl's bowling will see the authentic customer post displaying how welcoming Bird Bowl is to groups of people looking for fun!